Tips For Buying Or Selling Your Home With A Swimming Pool – Aqua Fun Inc.
Will a swimming pool increase the value of your home or could it actually decrease the value. Here in Georgia and the Southeast where the climate stays warmer most of the year, a swimming pool could increase the property value from 5 to 10 percent according to the National Association of Realtors. If you are buying or selling a home with a pool, our team at Aqua Fun would like to offer these tips and suggestions to make your dream home something you can really dive into. Condition – look for obvious warning signs such as cracks, pealing or loose vinyl liner and clarity of the water. Is it well maintained? Style – does it fit the neighborhood? Does it leave room in your yard for more? Age – does it need updating? Will it need to be replaced or repaired while you live in the home. Safety – are there safety covers or gates around the pool? These are all factors one should take into account when interested in buying a home with a swimming pool. It all helps with the resale value, when and if, you decide to sell the home again in the future. If you want to make an offer, ask to see the maintenance records and schedule a pool inspection along with the standard home inspection during due diligence. Stage the pool area and sell the lifestyle. Hire us to clean the drains & water. Scrub any stains on pool tile or decking. Landscape it! – “Landscaping adds an average of 14.8% to the value of a home. These homes sell as much as five to six weeks faster than homes without landscaping”, says SwimmingPool.com. You can make sure your swimming pool is a wonderful asset when selling your home. 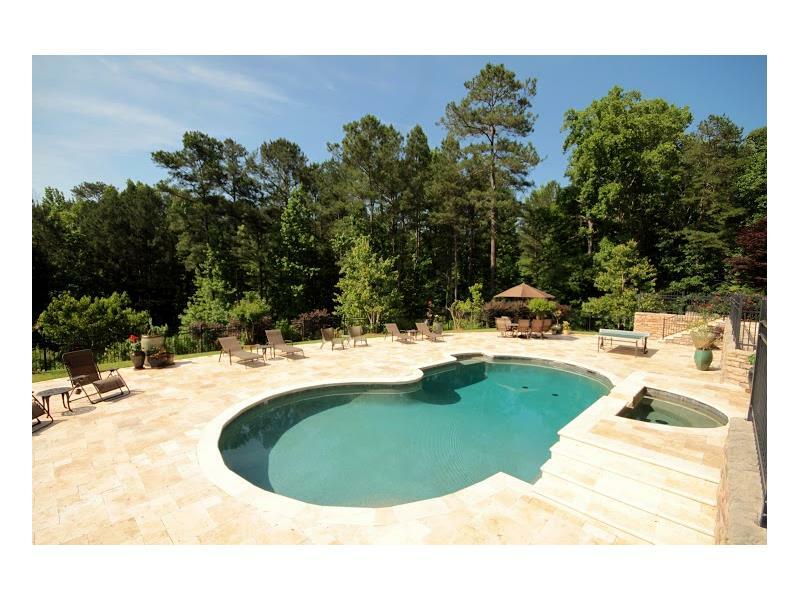 It’s vital to have the pool in pristine shape so you can impress potential buyers. Did you get a chance to check out our August Is The Time To Plan And Tend To Your Backyard Pool Landscape – Inground Pools Blog? We think you’ll have a lot of fun with it. All of us here at Aqua Fun Inc would like to thank you for reading our blog! If you know anyone who would like to know more about planning their backyard swimming pool design, then be sure to share this article or simply call Aqua Fun Inc. today – (770) 419-7119 or schedule time to talk here.